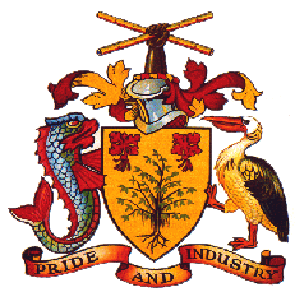 Welcome to the national directory of Barbadian artistes and cultural workers. If you are a Barbadian artiste or cultural worker, click here to register. If you are looking for a Barbadian artiste or cultural worker, view directory here. Barbadian artistes and cultural workers now have another way to share their creative products with the rest of the world. This online directory provides the perfect way for them to reach a global market and also to collaborate with each other. The PITCH programme is coming! Get tools you need to pitch your idea to investors, check out www.cidapitchprogramme.com for more info and stay tuned for the new dates! Registration with CIDA entitles you to tax incentives and more! Check out www.cidabarbados.org for more information or email us at info@cidabarbados.org with queries and comments. Are you on Facebook? We are too! Click here www.facebook.com/BarbadosCIDA/?fref=ts and Like us for great cultural and creative posts! The Cultural Industries Development Act provides for the establishment of a regulatory framework to facilitate and encourage the sustainable growth and development of the cultural industries, funding for cultural projects, duty free concessions and income tax benefits in respect of cultural projects. It was passed by Parliament in September 2014.